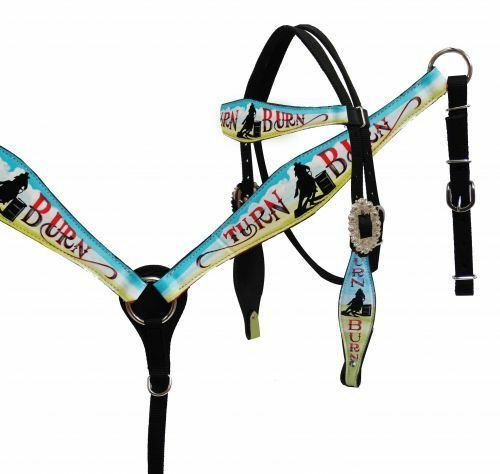 Showman ® Horse size nylon headstall and breast collar set with hand painted ” Turn & Burn” design. 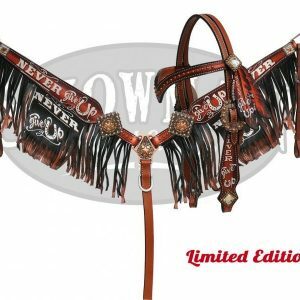 Hand painted leather browband, cheeks and breast collar are feature the ” Turn & Burn” barrel racer design. 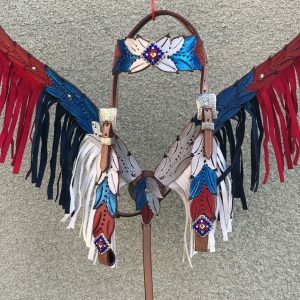 Headstall comes wtih 5/8″ x 7′ nylon split reins.